Today I'm going to discuss why making errors are so important to improving. In a previous post I discussed a similar topic; I talked about 'Staying Positive After Errors.' If you're interested in reading it you can find the previous post here http://www.serioussquash.com/2014/12/staying-positive-after-errors.html. Today though I'm going to talk about why we have to make mistakes and how to view these on a more positive note. So whatever the reason is we make an error is not the issue we're talking about today. Today I want to talk about why we needs to make mistakes. I feel players begin to plateau in their game mostly because they become more consistent with their shot selection and execution. They don't beat themselves, but they also don't try do do new things when they play because they have had those poor shot selections and errors weeded out of their game. Of course you can do this and play at the highest level. There is no argument there. But I believe there is always more you can learn and improve in your game. If you limit yourself to say, never attacking from the back or always hitting a straight drive return of serve it doesn't mean your game will suffer. You will probably do extremely well because tactically these are excellent choices. But you are also probably limiting yourself by using the terms always or never. If we continue making the same mistake over and over do we give up on the shot or is this just a sign that shot is extremely difficult? Like some ridiculously challenging skateboarding flip? If it's a trick a skateboarder can land every time there isn't really any new learning taking place; there is no new speeding up of the myelin connectors. Same goes for a basketball player. If they never practice shots they have trouble with they will never tend their range. We get to a point in squash where we can become very consistent and precise at our squash skill, but there is always something more we should be playing around with and experimenting with. Even if this is only in practice. So as you can tell I like people making mistakes. Mistakes equals learning. As long as they aren't making mistakes because they lost their focus. 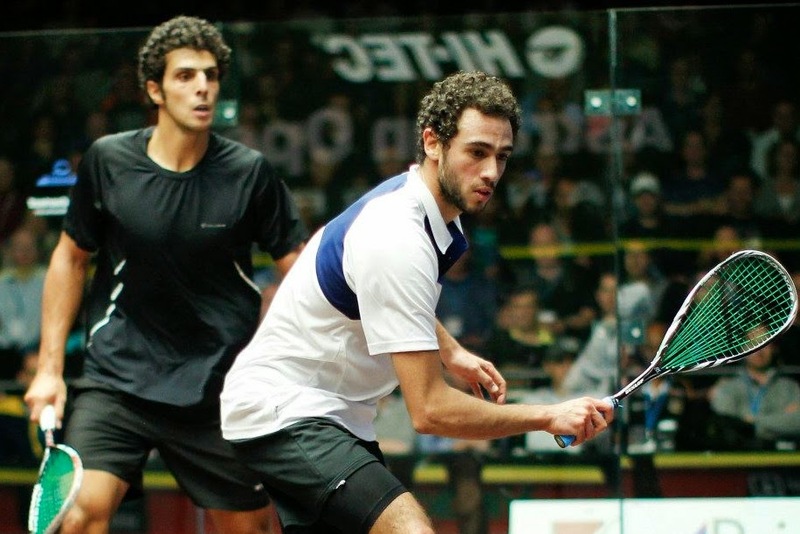 I feel most coaches limit squash players into a style where they play not to loose and limit what they could do on a court. Obviously the thing here is that making mistake after mistake can be very damaging to some peoples confidence. This is why only some people become creative squash players. They aren't afraid or trying new things and failing from time to time. These new shots or skills are like trying to solve complex puzzles. Maybe it's a puzzle that nobody has a solved yet, but that doesn't mean there isn't a possible solution. If you want to become great you have to take great risks and never stop trying to improve your game. I hope this post has shed some light onto the importance of mistakes, even if we can't stand them. We need to make mistakes to expand our game otherwise we are limiting our potential. I've brought up this fact in a previous post; how many tins do you think Ramy has hit in his life? I bet it's a lot more than probably anyone else on tour. Just like young Mazen Hesham, he too has surely made un uncountable number of errors. He still plays like a junior and is beating top 10 players. I'm sure he'll find the right amount of discipline to compete and eventually make his way to the top of the ranks. I'm not so sure the same would have happened without him hitting millions of tins along the way! You can tell the top players don't like playing him because he doesn't allow them to play in a rhythm. That's it for today. Hope you can see the bright side of your errors. If you aren't happy with giving away so many free points on a specific shot you just need to keep practicing it. It definitely won't get any better by shying away from it. So go ahead and make some more errors! If you can handle it mentally in the short term it will be good for your game in the long run. I would like to know at least .... 50% of the nature?origin of my mistakes (by the way... too many...O.... I understand...if I play without risk I won't go forward or improve... but at least I need to know why????? Why if I try to execute a simple drive....sometimes is more than 2 ft from the side wall!! I stumbled on your blog tonight, I really like your article and really agree on your post about making mistakes. I'm a squash enthusiast, but only a decent club level player (from Canada too), but here's how I try to handle the tins I hit, and how I've improved my attacking ability. When I hit the tin, I asked myself a simple question, was it a good shot selection? By good shot selection I mean, did I caught my opponent moving in the wrong direction, would that shot increase the pressure on my opponent? Was I well balanced while hitting the shot (and not under a tremendous pressure)? If I conclude it was a good shot selection, well, I'm happy, I want create this positive mindset, so I can repeat this shot, repeat similar decision making (and maybe repeat this error) and eventually improve my attacking game. If it was a poor selection, I try to think what would have been a better shot selection. Then go on with the next point.